Category Beef and tagged Paleo chimichurri, skirt steak with chimichurri. I took a trip to Lafayette this week for an appointment and had a chance to stop by there Fresh Market grocery store. I got some skirt steak and wanted to do something different with it. I made this chimichurri sauce and let it marinate in it over night. It turned out great! 2. Place steak and sauce in large zip lock bag and toss to cover. Let sit overnight. 3. Grill outside or in skillet indoor. 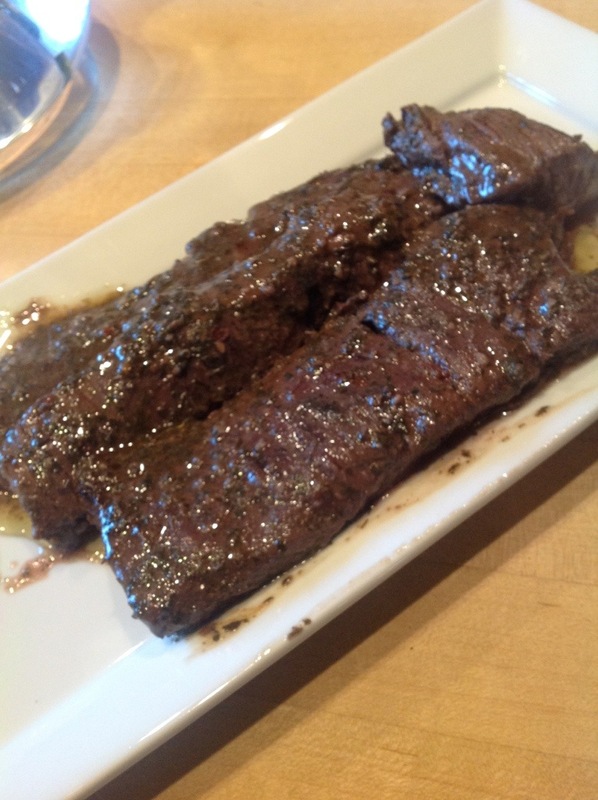 This entry was posted in Beef and tagged Paleo chimichurri, skirt steak with chimichurri. Bookmark the permalink.